In his latest effort to bring bionic arms to children who need them, Limbitless Solutions founder Albert Manero announced Thursday that his nonprofit organization will create and deliver arms for 12 children around the country in time for the holiday season. Prosthetic limbs are easily outgrown and getting insurance to pay for them can be difficult, Manero said. 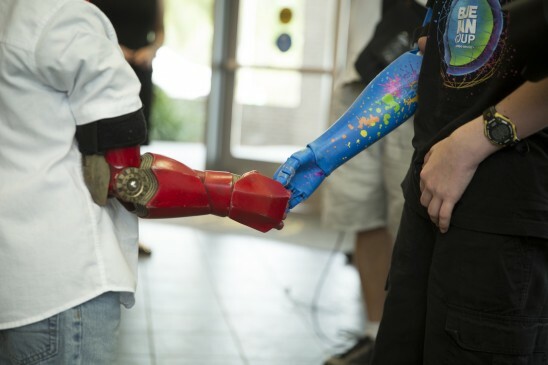 Now with the rise of 3-D printing, Limbitless has been able to bring down the costs to make the arms below $500 in materials, and donates every arm to families in need. More information about the team is available at Limbitless-Solutions.org.